The Stilo 7 pendant is a modern and fun way to light up your space. In a vanilla matte glass, this pendant will create a warm and inviting look. 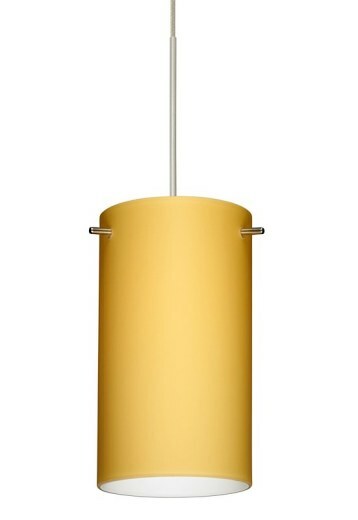 Fabricated with handblown glass, let this mini pendant add style to your space. This 12V cord-hung mini pendant includes a 50 W halogen lamp. Cord Hung Suspension: 10' coaxial-type cord, field-adjustable. Teflon jacket coordinates with metal finish. Flat canopy. Installs directly to a 4" octagonal ceiling box. Suitable for sloped ceilings. UL listed. Suitable for dry locations (interior use only).